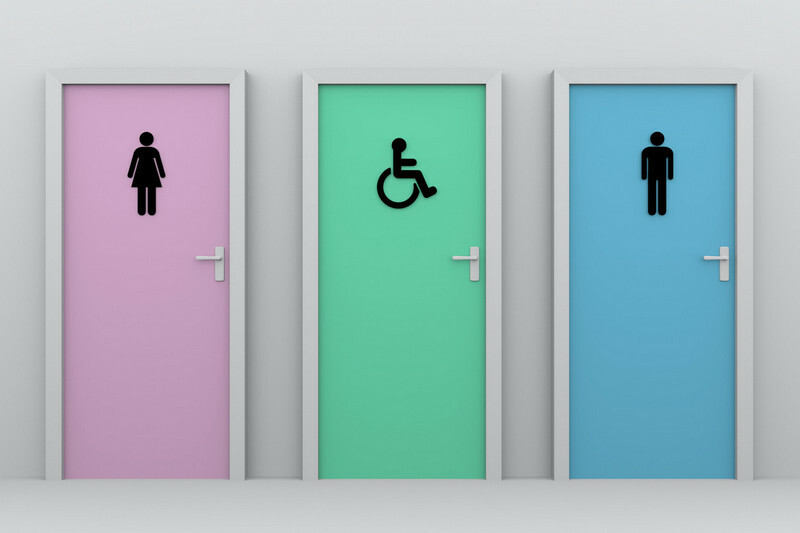 If you’re in charge of managing bathroom facilities in a public place or workplace, you’ll no doubt want to be sure that your disabled bathrooms are easily accessible for the more than 4 million Aussies who live with some sort of disability. True accessibility comes down to a matter of millimetres, so it’s vital to clearly understand the rules about where to install fixtures such as soap dispensers, paper towel dispensers and hand dryers. What are the hand dryer height regulations for Australian accessible bathrooms? There are several requirements for the placement of fittings such as hand dryers, paper towel dispensers and soap dispensers in Australian accessible bathrooms. Primarily, these must be positioned between 900mm and 1100mm above the floor surface. To ensure someone in a wheelchair can access these fittings, they must also be placed at least 500mm from any corners in the room. While it’s wise to place the hand dryer a short distance from the sink, it must not be installed where it’s difficult to use. Operating ease, because fittings such as hand dryers must be able to be operated with one hand in Australian accessible bathrooms. Soap dispensing and hand dryer systems with either automatic sensors or large buttons are best to ensure people can use these facilities with ease. Operating volume, and how this may affect people with sensitivities. If possible, choose a hand dryer model designed for quiet operation such as the Mediclinics Speedflow hand dryer. This model operates at around half the volume of other leading brands. The type of hand dryer, and whether it can be used by people in both a sitting and standing position. A blade dryer is not really a suitable hand dryer for disabled toilets, as it would be practically impossible to place hands down into the opening while sitting in a wheelchair. The design of the hand dryer, and how much space it takes up in the room. While there are no specific Australian requirements for the profile of a hand dryer in a disabled bathroom, there must be enough space for a wheelchair user to complete a 180° turn. Installing a hand dryer that is slim and smooth will provide more room for manoeuvring in the space. Our team is experienced in recommending hand dryers for accessible bathrooms and can help you to find a streamlined, quiet, efficient and easily operated system to suit your needs. Of course, hand dryers are not the only thing to consider when planning your accessible facilities. There are a number of factors to consider including flooring surfaces, adequate space, sink placement, grab bars, Braille signage and emergency alarms. It may well be worth working with a disability access consultant to ensure your facilities are fully compliant with Australian standards. The result will be an accessible bathroom that can be used with ease and dignity by all Aussies living with a disability.